The following is a sponsored post. As always, all opinions are my own. As our school aged children (ages 8 & almost 13 yrs old) get older, I’m finding that they are starting to make their own food choices outside of my home. Whether it’s at school, at friend’s house, or at local events I have to trust that they are going to make the “right” choice. But choosing healthy snacks isn’t always easy. We love fruit in my home. Seriously, I haven’t met a fruit my son won’t eat, but I generally buy fruit on a Saturday morning and I’m lucky if it lasts through Monday after-school. Instead I know I can count of Fruti 100% all natural frozen fruit bars to hold my children over until my next shopping trip. 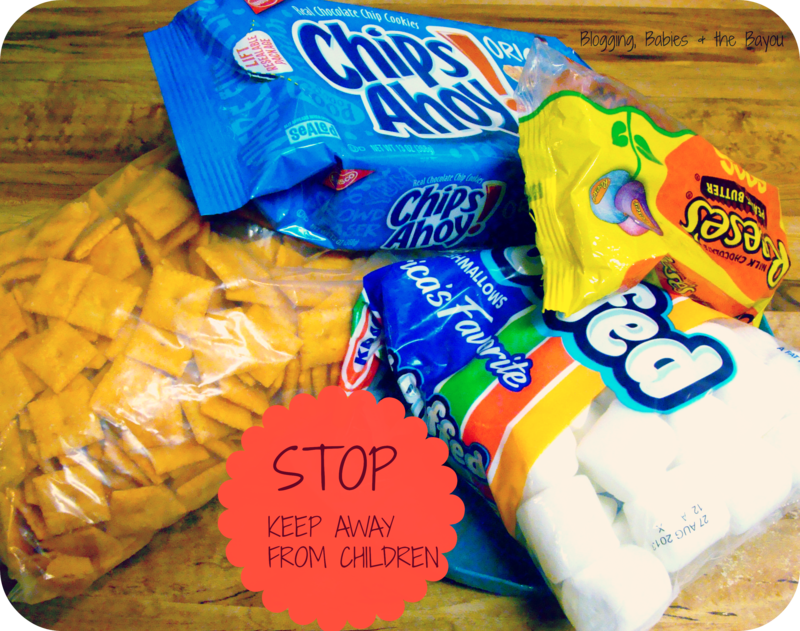 The biggest unhealthy snack eater in my home is NOT my children. It’s not me. It’s my husband!! The snacks shown above are his. In fact, he hides his snacks in a top cabinet so the kids can’t reach it. It’s tempting my children (and me) but we stay away from it. After my recent shopping trip to Sam’s Club & purchasing a Chunks O’ Fruti variety pack, I knew I had to get rid of the unhealthy snacks in my house once and for all. I never understood the hoopla about cookies and crackers. To me, it’s not actually quenching your sugar cravings. My children agree that since Fruti is a 100% Natural Fruit Bars, it quenches the natural sugar fix your looking for. The sugar in Fruti comes from the premium fruit ingredients. 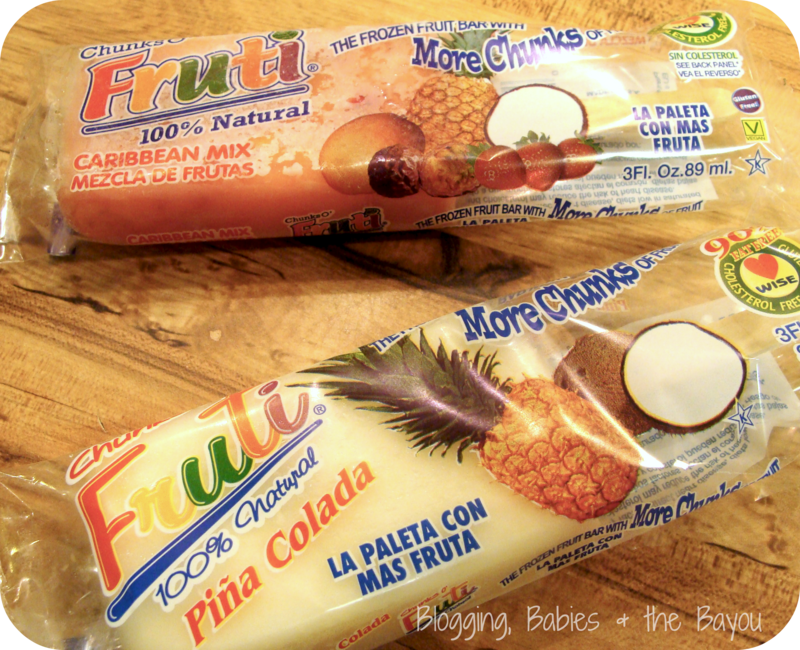 Fruti is a natural product so they do not add any colors or flavors to their bars or high corn fructose corn syrup. As a mother, that is so important to me. Saving time and money is also important that’s why I love that I can go to Sam’s Club and purchase a 16 count box. There are 4 inner boxes within the variety pack so I can get the selection and have easy storage in my freezer. On the weekends (especially after grocery shopping day) I’m always looking for something fun to do with my children. I have a busy work schedule and finding an afternoon to connect is so important to me. 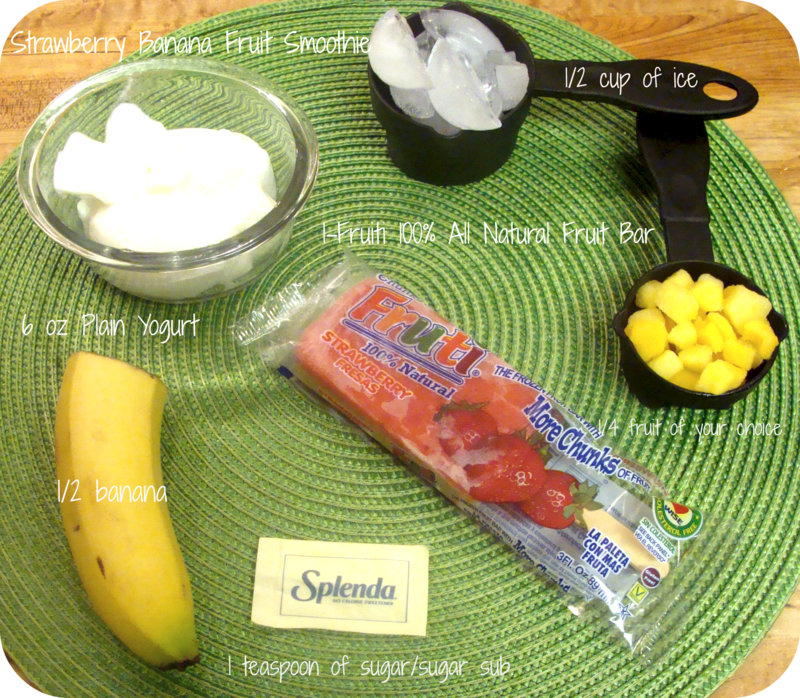 Since my kids always have friends over, I decided to create a fun afternoon snack for them- Strawberry Banana Fruit Smoothie. My kids (and their friends) were even more ecstatic that I let them create it themselves. For more ideas, you can check out the Fruti and yogurt demo at Sam’s Club on 5/13. 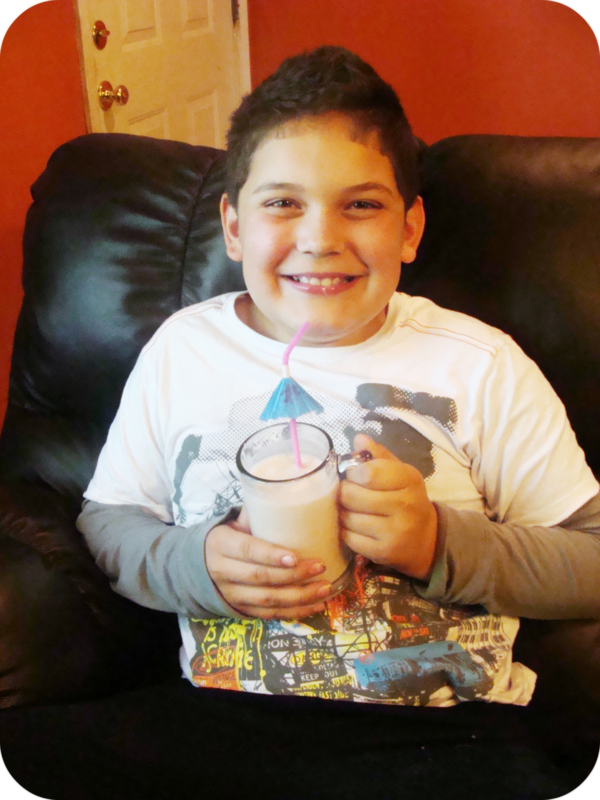 As you can see, the kids loved the Strawberry Banana Fruit Smoothie using a Strawberry Fruti Bar. Guess what? You can find many uses for your Chunks O’ Fruti variety pack including creating your own Island Cocktails. 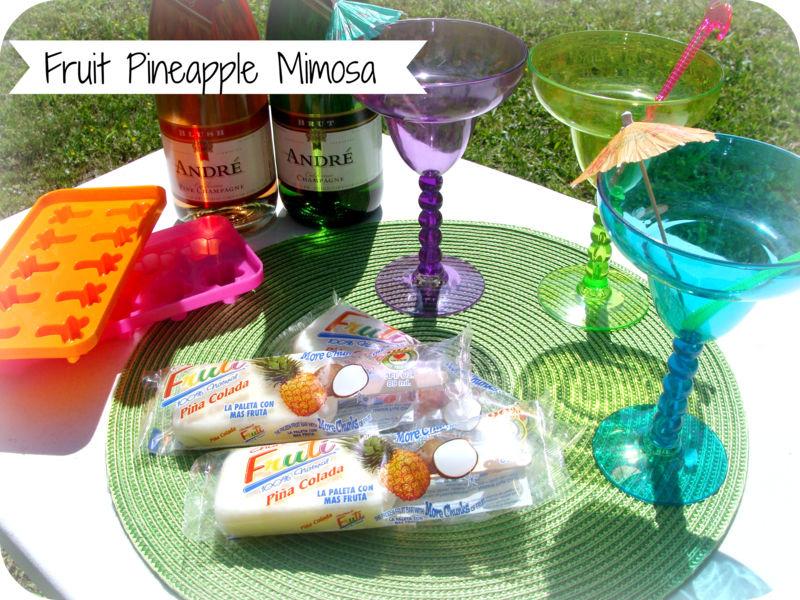 I used my Pina Colada Fruti Bar to create a Fruit Pineapple Mimosa. I used a dry champagne, a Fruti Pina Colada Frozen Fruti Bar & 1/4 frozen pineapples. Add a fun margarita or cocktail glasses and you have a complete adult beverage. The kids won’t even know a fruit bar is missing! Chunks O’ Fruti variety pack contains Pina Colada, Strawberry, Caribbean Mix & Strawberry Cream & contains no artificial flavorings, is NON-GMO VERIFIED, kosher free & made in a peanut free facility. All more reasons you (and the kiddies) will love the Chunks O’ Fruti Variety Pack sold exclusively at Sam’s Club. You can see more of my recent trip to Sam’s Club including the Chunks O’ Fruti 16 piece Variety Pack sold exclusively at Sam’s Club HERE. Love that it has no GMO ingredients. I will definitely be looking for these. yuuuuuuum!!! esas paletas se ven riquisimas!! If you are tossing out Reese’s and Chips Ahoy, send them to ME! Looks like your son loved it! Mmmm! Those look good, I want to eat one just plain!!! Those look really good, and refreshing on a hot day! I’ll have to look for them next time I go shopping! Yum, they look good and plus they are so much healthier then some of these other snacks! Just right for summer hot days! Thanks for sharing this post! Sounds like a lovely option that I would prefer. Love the drink option too. Wow-those sounds really good and my kids love fruity treats. This is a great healthy alernative! I think I am the worst in my house when it comes to eating healthy! Yum!! Those look really good. I would like to try the piña colada. These look great! I love bars like this during the summer. I have not heard of this brand before. I will be on the lookout at my grocery store! 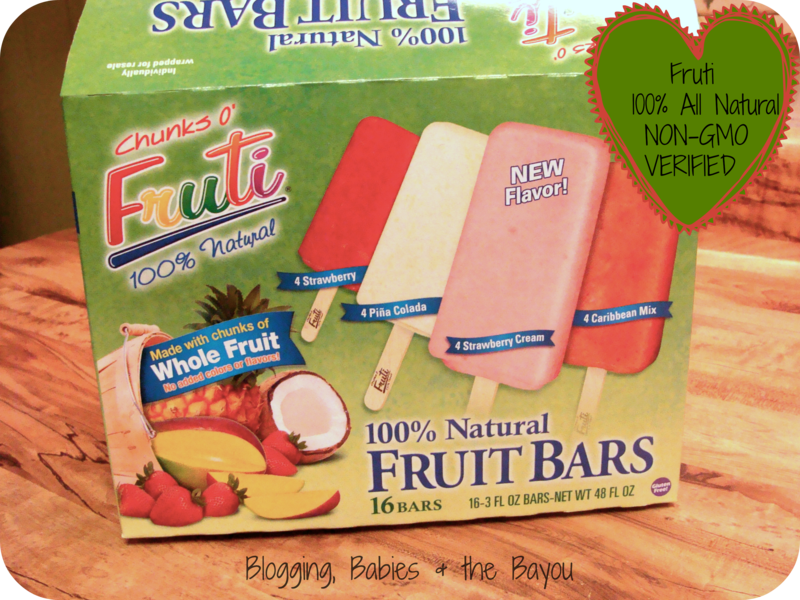 I would love to try these fruit bars, especially since it doesn’t contain high fructose corn syrup. I agree with you that is a much better alternative than cookies or crackers. I gutted my house of the same things in your picture! It’s surprising how much better you feel when you cut them out of your diet.